It can be used to cut a wide range of materials, for which the manufacturer is available to carry out test cuts, in order to ascertain the machine functionality. The automatic operation of the machine is controlled by a microprocessor, which guarantees the recovery of the work cycle in the event of a power outage or material malfunction, hence maintaining the residual memory without the assistance of a backup battery. 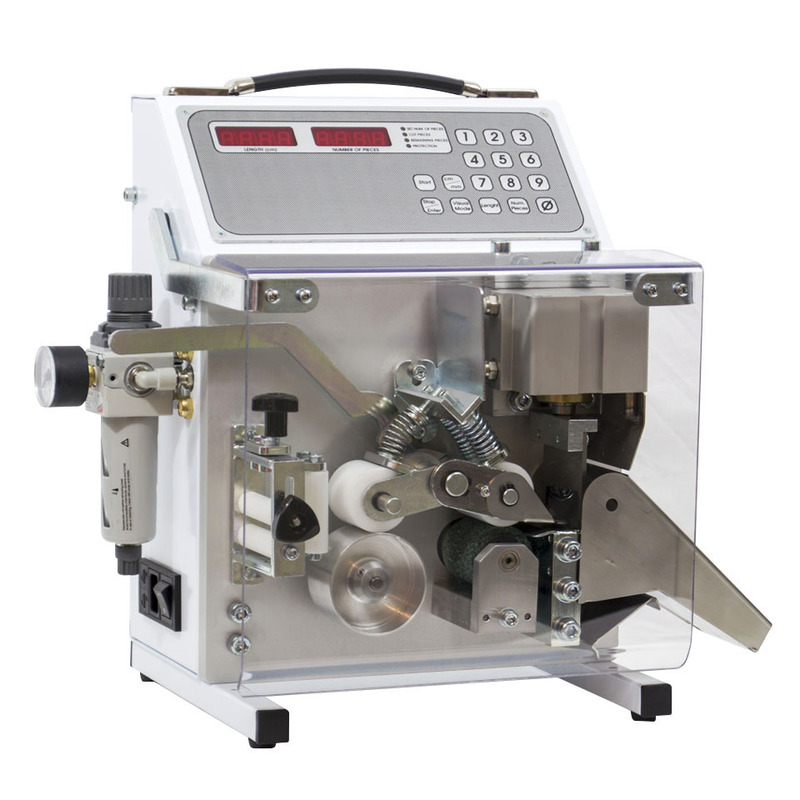 The SP101 STANDARD CUTTING MACHINE is equipped with a tempered steel blade, a guillotine cut and a cutting aperture of 50×20 mm. The STANDARD BLADE KIT can be also exchanged with the WIDIA BLADE KIT or the V-BLADE KIT at any time.